The Iyengar method of yoga is named after our teacher Yogacharya Sri BKS Iyengar. He is considered one of the world’s leading teachers of yoga. So important has his impact been that in 2004 he was named in Time Magazine as one of the top 100 most influential people in the world. Born in 1918, Mr Iyengar took up yoga as a boy to overcome serious physical disabilities. He went on to evolve a complete system of yoga, based on the 1700 year old philosophy advocated by Patanjali. BKS Iyengar’s first visit to Britain was in the early 1960s, at the invitation of his student, the internationally renowned violinist and conductor Yehudi Menuhin. He made annual visits for many years after that, giving demonstrations and workshops and gaining a large number of enthusiastic students. To date, there are nearly 4000 certified Iyengar yoga teachers worldwide. Sadly Mr Iyengar died in 2014. He was still teaching alongside his son Prashant and daughter Geeta at their Ramamani Memorial Iyengar Yoga Institute in Pune, India until a few months before his death. His legacy lives on and his enthusiasm and vitality continues to set standards for his teachers and students worldwide. His many books on yoga have become classics – such as Light on Yoga and The Tree of Yoga. It is best to do yoga in clothing that doesn’t restrict your movement, e.g. leggings or shorts. No shoes – yoga is done in bare feet. 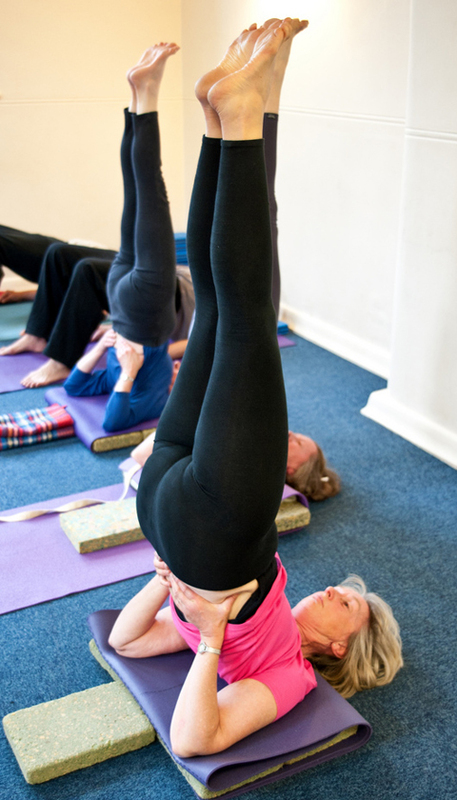 How is Iyengar yoga different? There are hundreds of different types of yoga practised, how do you choose the best one for you? is a stimulating form of exercise, toning your muscles and strengthening and invigorating your whole system. is suitable for all sizes and shapes – you do not have to be fit, slim and young to start! uses props such as blocks, belts, blankets, chairs and wall ropes to help relieve minor problems or medical conditions.